Gold exchange traded funds such as the SPDR Gold Shares (NYSEArca: GLD) have recently traded lower, but despite outflows, global gold-backed ETF holdings are still up 2% on the year. It appears strategic investors are using low cost ETFs such as the SPDR Gold MiniShares Trust (NYSEArca: GLDM) based on $261.31 million YTD inflows and using GLD as a trading vehicle based on its recent outflows. Investors were still a bit nervous in January after the December equity market rout. By February, they gained a greater sense of comfort and flows started coming into broad-based funds and pulled out of gold. Moreover, by the end of the month, rates increased as bond market re-adjusted their Fed expectations increasing then opportunity cost of maintaining large exposure to gold. Finally, in the US, where the outflows were concentrated, there was likely profit taking from more tactical gold positions while strategic positions continued being built. “Despite facing headwinds from rallying stock markets that contributed to February outflows, global gold-backed ETF holdings are still higher by US$1.7bn on the year with 2% growth,” according to new data from the World Gold Council. “Global gold-backed ETF flows remain positive on the year (US$1.7bn, 2% AUM) on the back of strong inflows in January,” said Juan Carlos Artigas, World Gold Council’s Director of Investment Research. Lower fees on gold ETFs are luring investors as well. BAR and GLDM are two of the least expensive gold ETFs on the market and have been prolific asset gatherers. Adding precious metals to a portfolio certainly speaks to the diversification benefits of gold, among other things. 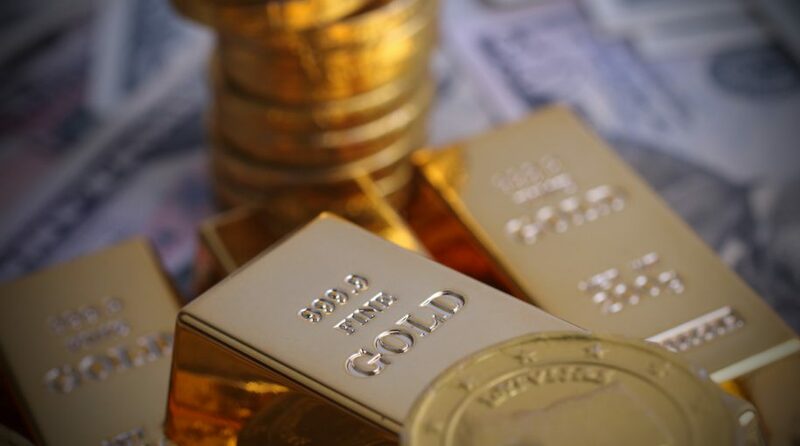 However, with gold trading at over $1,300 an ounce and GLD having a share price of over $100, investors who feel they might be priced out of this asset can look to a low-cost solution like GLDM.